IOWA CITY, Iowa — The Iowa Supreme Court has ruled that a mother may sue her OB/GYN and radiologist for “wrongful birth” after they failed to tell her that her child had birth defects so that she might be able to obtain an abortion. “Parents of children with disabilities may find their lives enriched by the challenges and joys they confront daily. But under our tort law, financial compensation should be paid by the negligent physician if liability is proven,” he added. According to reports, Jeremy and Pamela Plowman—now divorced—sued Fort Madison Community Hospital and several of its medical providers after their son was born in 2011 with cerebral palsy, microcephaly and a small corpus callosum, resulting in intellectual disability, cortical visual impairment and seizure disorder. The conditions were not diagnosed until the child was at least four month old after the mother became concerned that her son might have developmental disabilities and was directed to a specialist. Doctors now say the boy might never walk or speak. 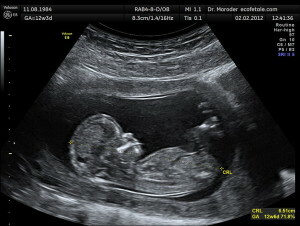 The Plowmans consequently sued over the alleged failure to properly interpret, diagnose and communicate their child’s abnormalities as shown by the ultrasound. While the mother testified that she “really enjoy[s] spending time with [her son] and get[s] a lot of happiness from him,” the couple’s lawsuit also noted that she “would have terminated her pregnancy” had she known of her son’s conditions. The suit seeks damages for mental anguish, cost of care past, present and future, and the loss of income after the mother needed to quit her job to take care of her son—now almost six years old. The Iowa Supreme Court, in issuing its decision, noted that 23 other states allow for wrongful birth suits, and that Roe v. Wade permits mothers to obtain an abortion before the point of viability (when current technology has the capability to keep the child alive separated from the mother’s womb). “Defendants argue the disabled child may later be emotionally traumatized upon learning his or her parents would have chosen to abort. But given Z.P.’s severe cognitive disabilities, there is nothing in the record to indicate he will someday understand his parents sued over their lost opportunity to avoid his birth,” the court also wrote. The lone dissenting justice, Edward Mansfield, opined that the Plowmans should not have been allowed to sue because wrongful birth suits over abnormalities could lead to a “slippery slope” that could include any medical condition.